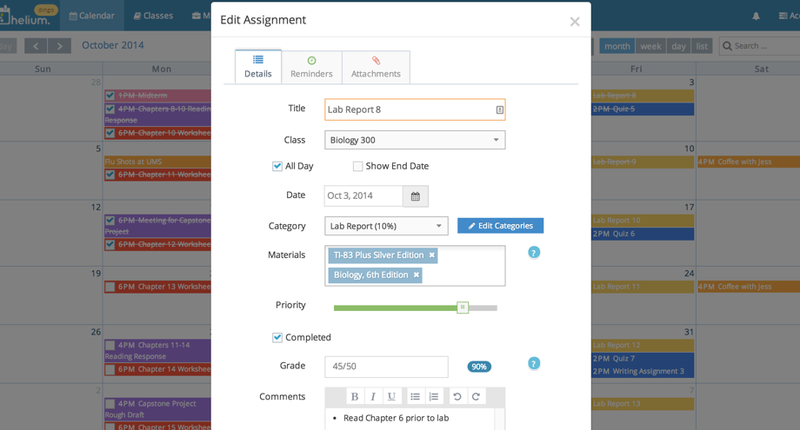 Easily organize and color-coordinate your schedule and schoolwork, capture details about every assignment, and plan your study schedule. 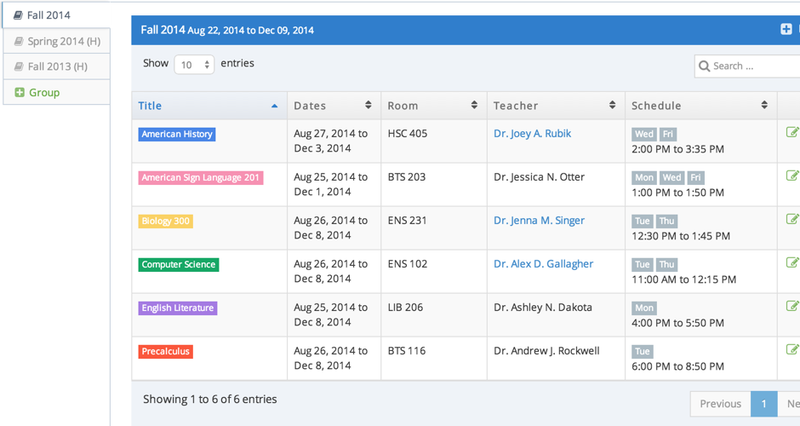 Categorize your assignments, set up grading scales, and enter details about teachers, room location, schedules, credits, and more! 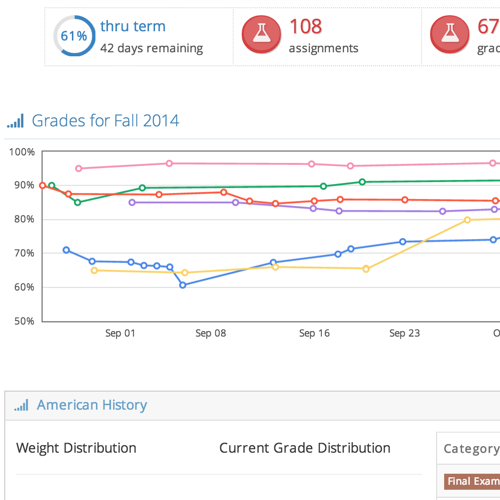 Constantly up-to-date details about your grades in every class, a breakdown of your progress, and insight into which classes you're acing and what could use improvement. Enter due date and textbook details, add notes to remember later, set a priority level, and record grades when complete. 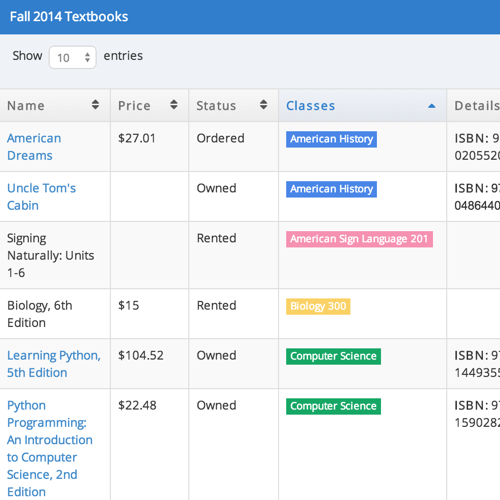 Maintain a list and details of the supplies, books, technology, and equipment you'll need to pick up to be ready for class each semester and each day. 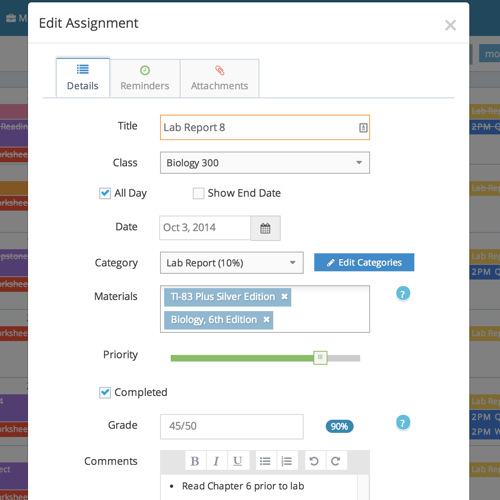 Sort assignments by class, priority level, due date, materials needed, etc. 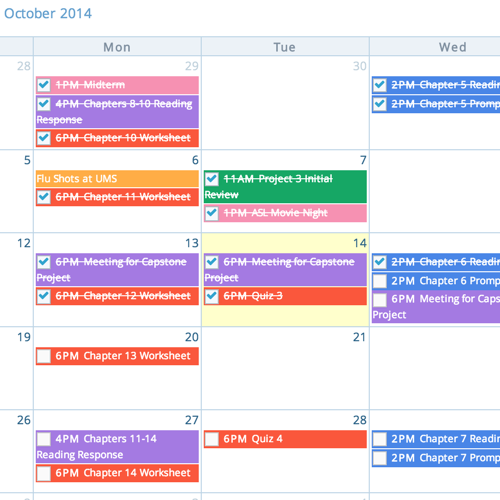 for an easy way to structure your study time and plan your approach to mastering your courses. 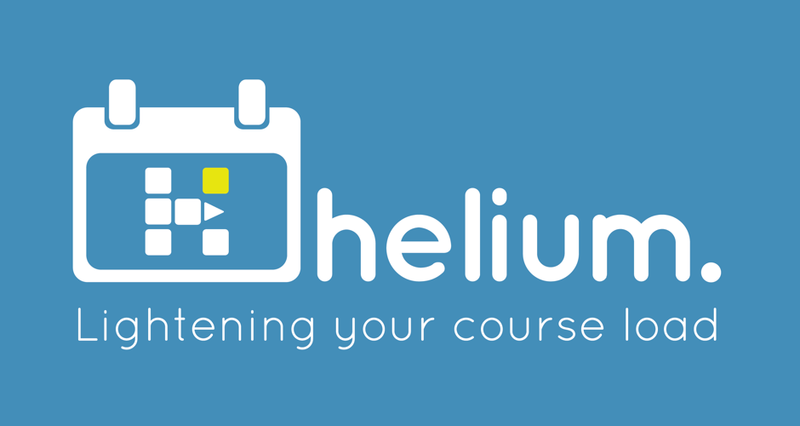 Don't worry about trying to remember every homework assignment, project, or test— use that brainpower to ace your classes and let Helium whip your schedule into shape! 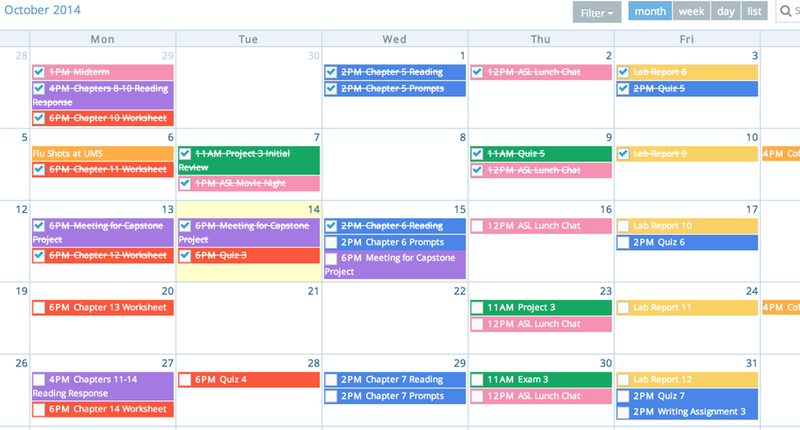 Easily organize and color-coordinate your schedule and schoolwork, capture details about every assignment, and plan your study schedule. Keep track of the details of your class, put together your necessary supplies, and catalog things like teacher contact info and class location. Schedule At A Glance.The Brass Tacks. 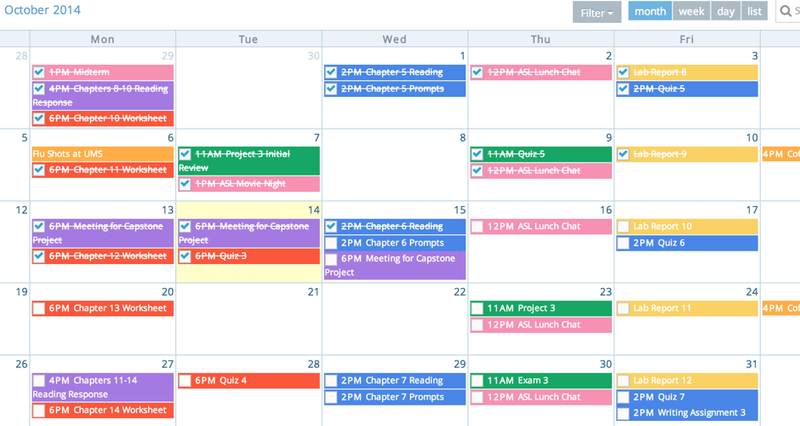 With at-a-glance overviews of your past and present terms and classes, a quick sketch of your schedule is always handy. 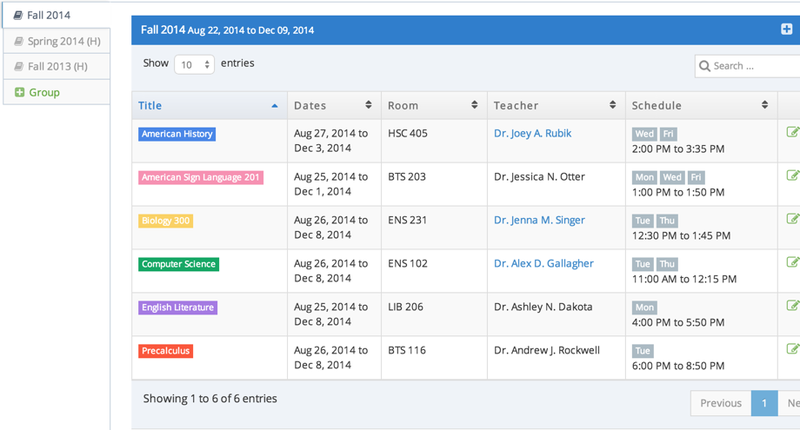 Categorize your assignments, set up grading scales, and enter details about teachers, room location, schedules, credits, and more! Tired of always wondering how you're doing in a class? Frustrated by trying to calculate your own grades? 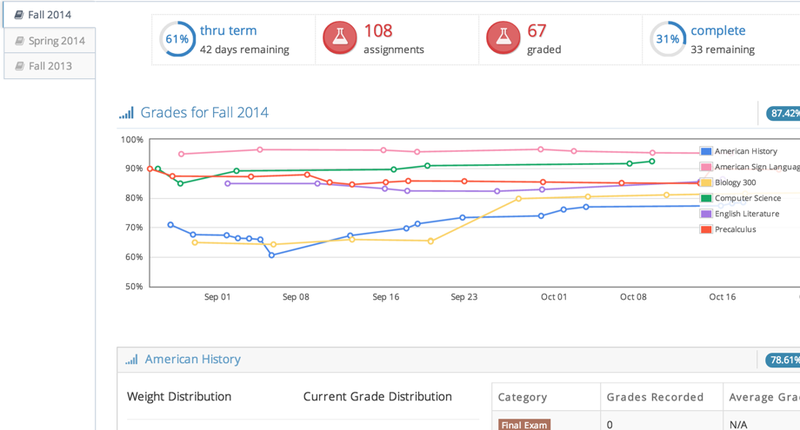 Record grades as you get them, and Helium takes care of the rest! 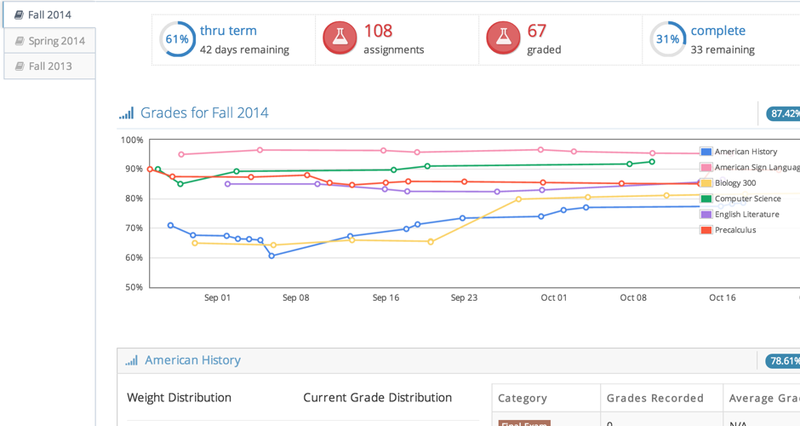 A full workup of your progress is always just a click away, with constantly up-to-date details about your grades in every class, a breakdown of your progression through the term, and insight into which classes you're acing and what could use improvement. We'll crunch the numbers for you! Never miss an assignment again! 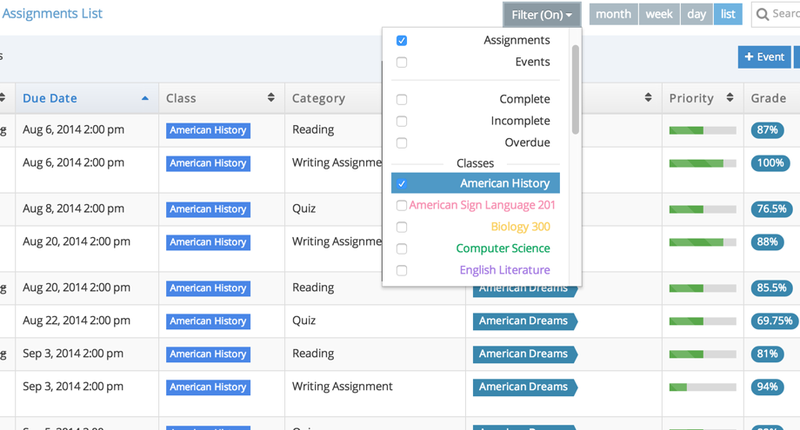 Let Helium remember the details of every assignment so you don't have to. 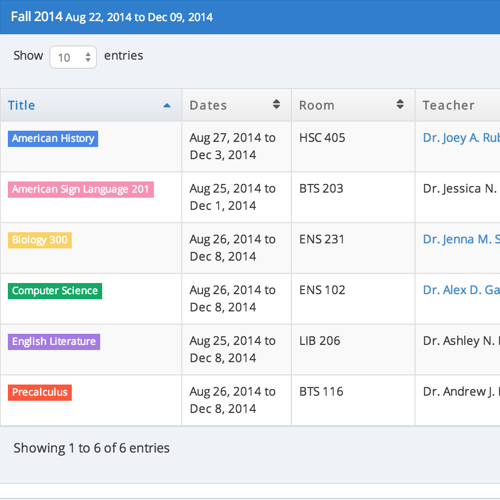 Enter due date and textbook details, add notes, set a priority level, and record grades when complete. Materials Organizer.The Meat & Potatoes. Everything you need for every class in one place! Helium will maintain a list of the supplies, books, technology, and equipment you'll need to pick up to be ready for class each semester and each day. 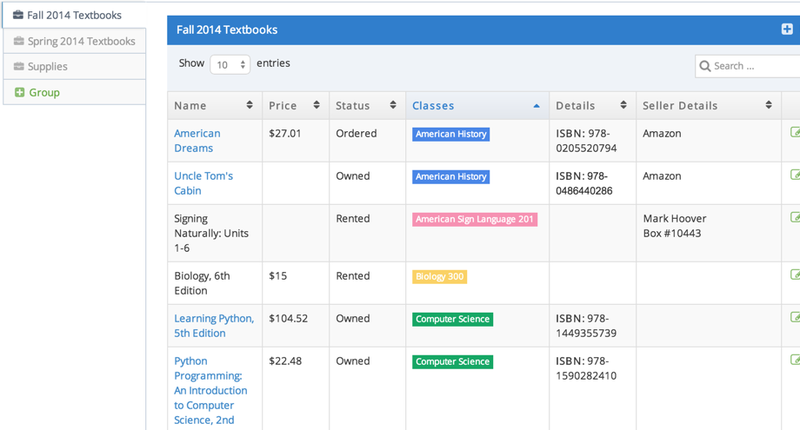 Make textbook resale a snap by recording details about each book, such as seller, price, and condition. Filtered Lists.The Nuts & Bolts. 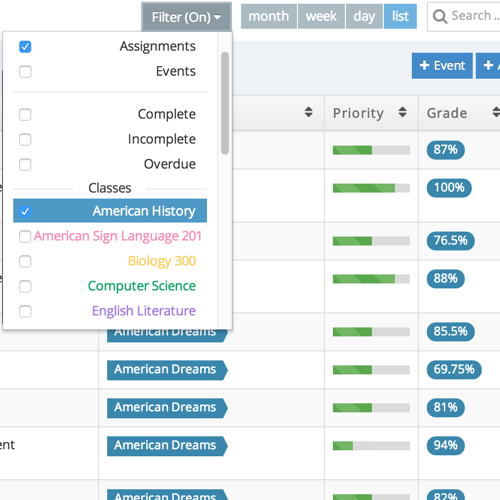 In addition to viewing your assignments and events in the calendar, manage your schedule in List View for a concise snapshot of your assignment lineup. 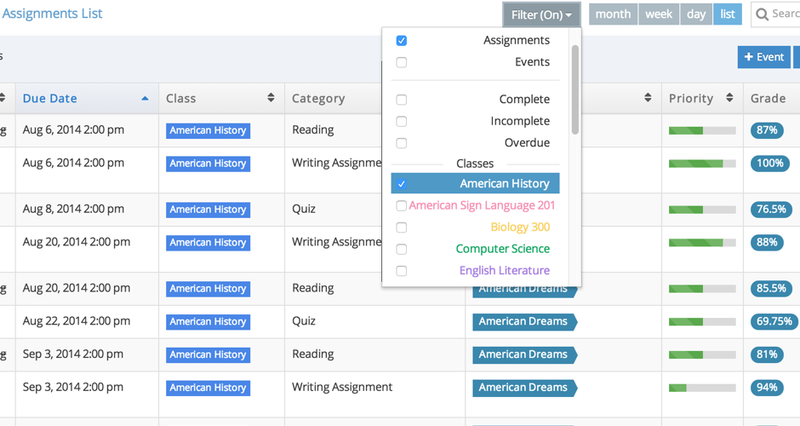 Sort assignments by class, priority level, due date, materials needed, etc. for an easy way to structure your study time and plan your approach to mastering your courses. The Delightful Dingo. Our Mascot. 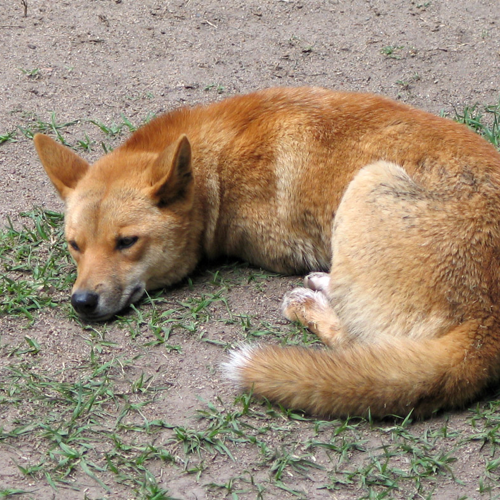 Dingos primarily are wild neighbors to our Aussie friends, though they can also be found in parts of southeast Asia. They have a bit of a love/hate relationship with their human neighbors, who partially consider them pests and partially credit them for keeping rabbits, rats, and kangaroos (yes, kangaroos) at bay. An iconic aspect of Australian culture and history, we also think Dingos are cool because of their complex conversation system that, unlike that of Fido who just noticed the mailman out front, is only 5% barking.